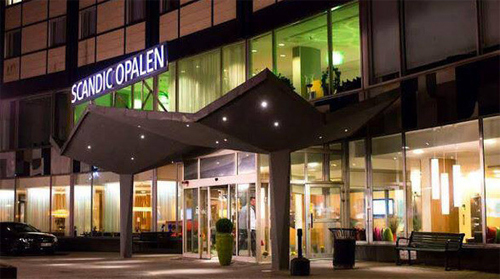 Scandic Opalen is a hotel in the Heden district of Göteborg, located at the Engelbrektsgatan-Skånegatan intersection and close to Scandinavium and Ullevi. Plans for a major hotel had been discussed for a long time. When the city of 1955 made the land available and decided to stand as a builder for the project, the plans were firmer. But the hotel project could not be solved as a limited task, but the mission soon included urban plans for the neighborhood as a whole. 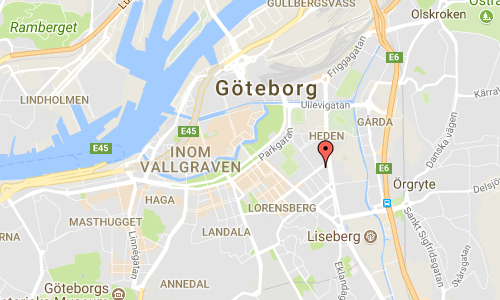 Architect was Henning Orlando. 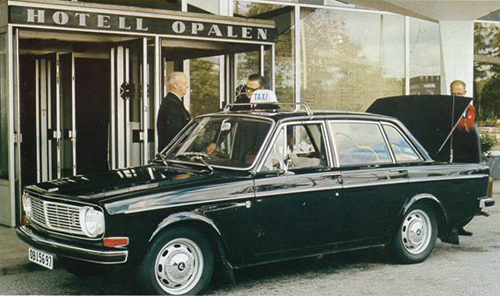 The original building on 11 floors was built 1962-1964 by the builder AB Göteborgshotell, and the number of guest rooms and suites was 229 with a total of 335 beds. The main dining room accommodated around 220 guests and bar-bodegan for about 60 guests. The banquet hall could accommodate up to 260 people, spread over a party hall and four club rooms. Interior designer SIR Folke Sundberg was responsible for the majority of the furnishings. The facade on the building’s entrance side was designed by the Danish artist Inger Hanmann. The dining room wall paintings are by artist Per Lindekrantz. For most of the textiles, Alice Lund and Elsa Agelii were responsble. In 2009, the house was rebuilt from 5 floors until today’s 16th. The opal is shaped by a solar spring and today has about 356 rooms, before the building has 242 rooms. 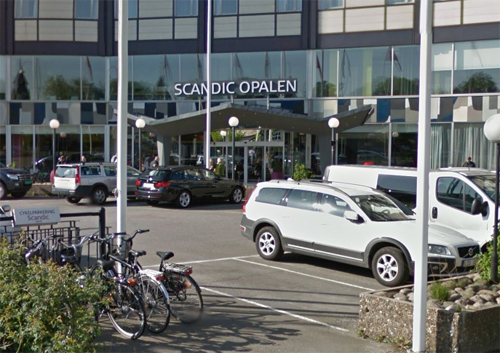 The name comes from the hotel’s location in the 24 opalen area, lot nr 24:11. 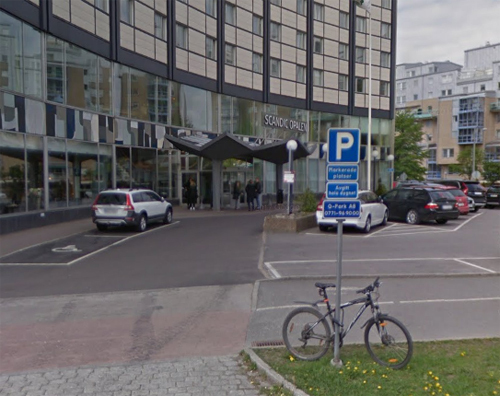 The hotel belongs to the Scandic Hotels chain and is mainly profiled as a conference hotel. Hotel Opalen is perhaps best known for having Jimi Hendrix as a guest in January 1968, before a gig at Lorensberg. The performance was due to take place on January 4 and the night before the concert held Hendrix a party and then broke his hotel room. 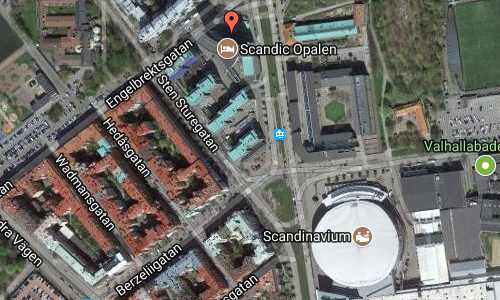 Hendrix was taken care of by the police and had to be relegated to Sahlgrenska and then to rest in the county cell. More information at sv.wikipedia.org and www.scandichotels.se.